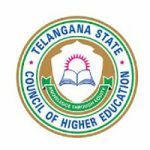 TS EAMCET 2019 Application Form can be filled till 28th April 2019. TS EAMCET is a state level examination organized by the Jawaharlal Nehru Technological University (JNTU), Hyderabad. It is conducted to provide admission in BE, B.Tech, B.Sc, B.Pharma, Pharm-D and various other courses. Different colleges in the Telangana state give admission into these courses on the basis of TS EAMCET scores. Here candidates can check details for TS EAMCET Application Form 2019. TS EAMCET 2019 Application Form can be filled till 28th April 2019 with late fee. Click here to apply. The application form has been provided through online mode only. TS EAMCET application form 2019 is available from 6th March 2019. The university has provided the facility to submit the application form with late fee. Candidates will have to upload the scanned images of photograph and signature in JPG format. The image size should not exceed 30KB for photograph and 15KB for signature. TS EAMCET application Correction facility has been provided via online mode from 6th April 2019. Candidates will be required to take printout of the application form for future references. The fee payment can be done through net banking, debit/credit card. Candidates can also pay through TS Online/e-seva or mee seva. Indian Nationals, PIO and OCI card holders are eligible to apply. Applicant should belong to Telangana or Andhra Pradesh state and must satisfy the local/non-local status requirement as per notified by the authority. For engineering courses, candidates must have passed or appearing in the 12th or equivalent exam with 45% marks (40% for reserved categories). Candidates must have mathematics, physics and chemistry subjects in the qualifying exam. Engineering diploma holders or candidates appearing in the final year of Diploma are also eligible to apply. Candidates must have completed the age of 16 years by the date of commencement of admission. Select the payment option, i.e. TS – AP online or Debit/Credit Card. After the successful fee payment, click on the “Proceed to Online Application Form Filling” option. Fill all the mandatory details like personal, communication, educational, course applying & others in the application form. Go through the declaration at the end of the page. Tick on the check box against the “I Accept the Terms & Conditions”. Verify your filled details and click on the “OK” button. Click on the “Download Filled In Application Form” button to take printout of the application. If you have any other queries about TS EAMCET 2019 Application Form, you may leave your queries below. Link to apply is given in the article. Click on the link to fill application form. Sir, Who will give signature in eamcet application form? Is our college principal? When will TS EAMCET – 2019 Application Form going to start? I studied from 9th class to 12th in telangana state , shall I become eligible for telangana state local? Yes, they can write it.